GIRLS brings you the stories of our sisters, daughters, mothers, nanas, aunts, lovers, best friends – the queens who have touched our lives. Devised by a chorus of women whose ages range from 17 to 70, this is a whole-hearted dance, investigating what it means to be a woman now, through the lived experience of our girls. GIRLS explores womanhood in 2019, through our own stories. Want to know more about The PappyShow? 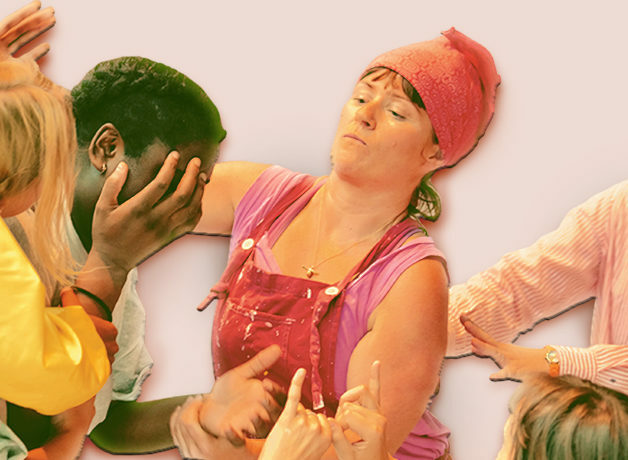 The PappyShow are a playful physical and visual ensemble theatre company. Formed in January 2013 by Kane Husbands in order to provide a much-needed space for actors to train in physical theatre, they use exercise and training to devise and create work. They believe that having a space to play, devise and fail improves them as performers, and informs the way they approach their work.